Having conquered such hot pop markets as Outer Mongolia and Guangxi Autonomous Region in China, Korean record producers have set their sights on America, and plan to release a compilation of K-pop's hottest current singles. "This album has been specially tailored to the American market," says Noh Changyoung of Emulation records. "Current Korean pop being what it is, we have decided to aim for a niche market of consumers who are nostalgic for the pop songs of 3 or 4 years ago." 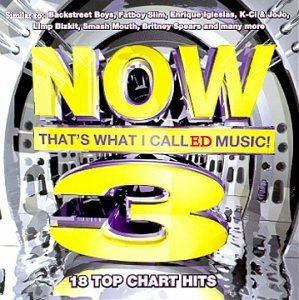 Taking a cue from the American pop compilation series "Now That's What I Call Music," the Korean version will be titled "Now That's What I Called Music" and will feature all of Korea's top acts today. Because the Korean producers are determined to catch up with their American counterparts, the first album in the series will be part 3. Says Noh, "The American music market is going to be Livin' La Vida Loca again, but this time, Korean style." This entry was posted on March 28, 2006 at 7:18 pm and is filed under Entertainment. You can follow any responses to this entry through the RSS 2.0 feed. You can leave a response, or trackback from your own site. why you be hating on Corea? MAyB *thoze* peeps be ripin the azn sTYLE!? Seriously, why do some Kyopos feel the need to type in mixed upper and lower caps? And talk/type like black people? This blog is going down obviously, fewer people are reading it crowded with negative posts.